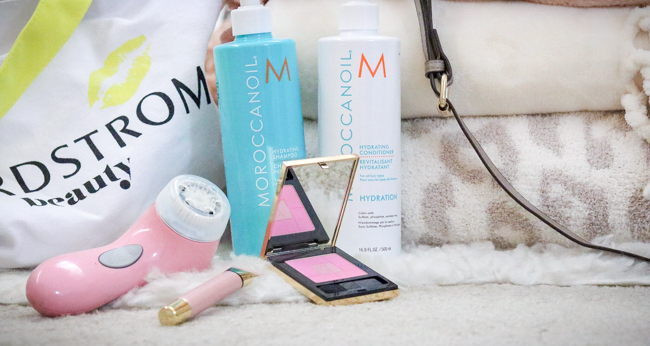 I'm so excited to share my July favorites with you today! Thanks to the Nordstrom Anniversary Sale I've been introduced to so many new products and pieces. Many of the items I'm sharing are still on sale and at such great prices! It's a mix of home decor, shoes, beauty, and accessories today. Keep reading to find out why I love each one so much. Btw I didn't intend on putting Heidi into these photos. She always wants to be the center of attention and plopped herself right into the mix. I have to say, she's a pretty good model! I don't know about you, but I have a deep love for a good blanket. I'm always cold so a cozy throw is just the ticket! The blankets in our house seen to take quite a beating (mostly Heidi's fault lol) so we were due for some new ones. 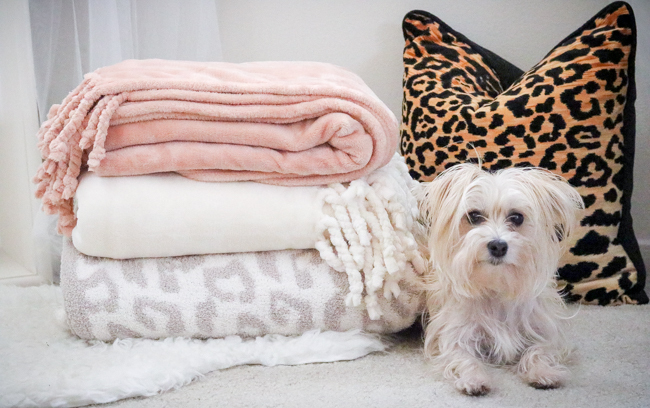 Luckily, the pink and white ones in this photo are under $26 which is such a steal and all three are so soft I can't even find the words to explain. I shared this bag a couple weeks ago and I had more requests to send the link than ever before. So I thought I would share it in the post today. 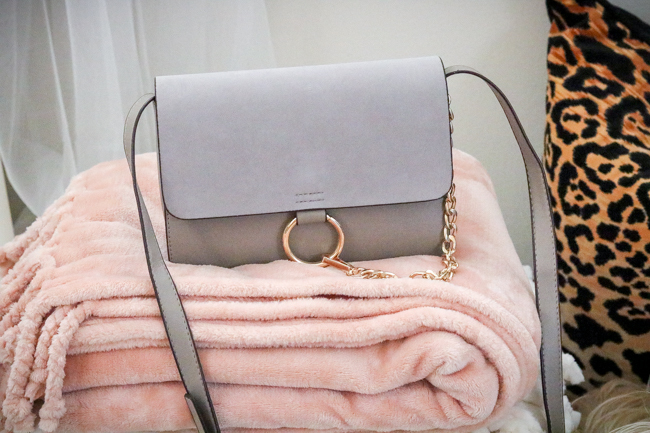 This crossbody bag is a dupe for the much more expensive version by Chloe. I normally don't buy dupes for designer bags but this one is really impressive and even better in person! The top is a soft suede and the inside has so many pockets. Perfect for the fall! 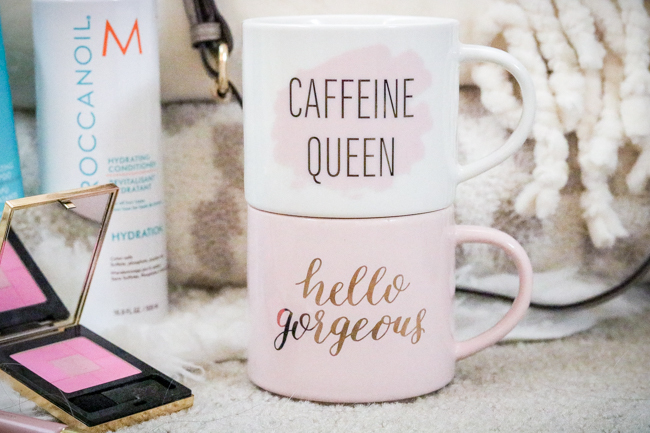 Okay, if you buy any Nordstrom Sale beauty items, THIS is the one! I can't even tell you how pleased I am with the results. 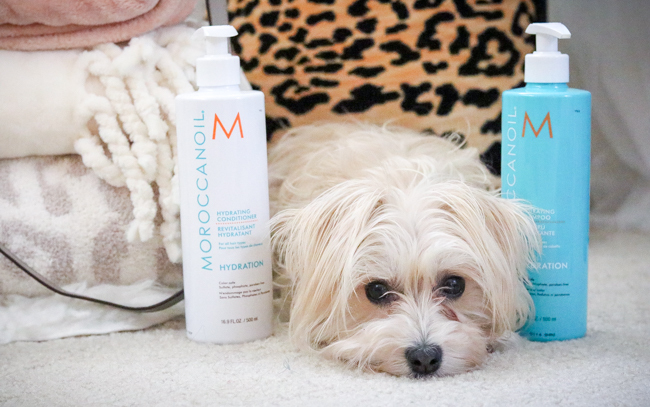 I've used this shampoo and conditioner in the past but forgot how incredible they are. My hair is pretty coarse and quite frizzy on its own. After using these, my hair feels so so soft! And it smells amazing (I made Justin smell my hair to confirm haha). The set comes with a milky body wash and hair oil - the only one I will use and have used for years. 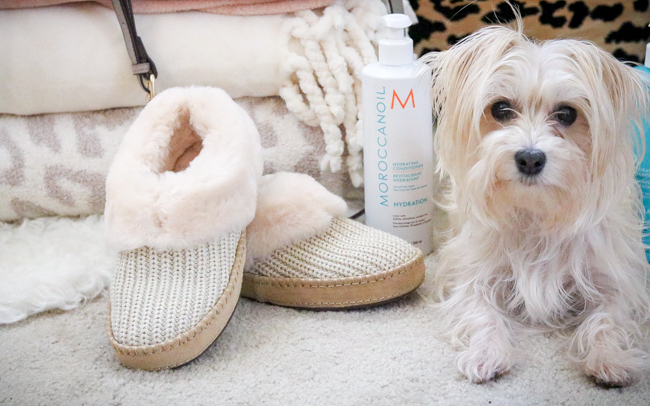 Originally I was going to pass on these slippers because I was worried I would get self-tanner on the trim (trust me, my self-tanner gets on everything haha). So I got the grey instead and after getting them home felt like they looked more like a man's shoe. My bear slippers from Christmas bit the dust so I've been on the lookout for a replacement, one that is more substantial. SO I took the plunge and got the tan and am so happy! They keep my feet so warm and for under $80 they are a steal (UGGs are usually very expensive... but worth it). I like these booties so much I purchased two colors. After looking at the incredible damage I did during the sale I decided I could only keep one and ended up choosing the tan. I realized when I took pictured these were the ones I kept reaching for and I like the way they looked with denim. A lot of people have asked about socks and I actually don't wear any. They form to the foot and are so comfortable, socks aren't necessary. If you buy any shoes from the sale, these are the ones I recommend! I talked about this product recently on Instastories and am blown away. 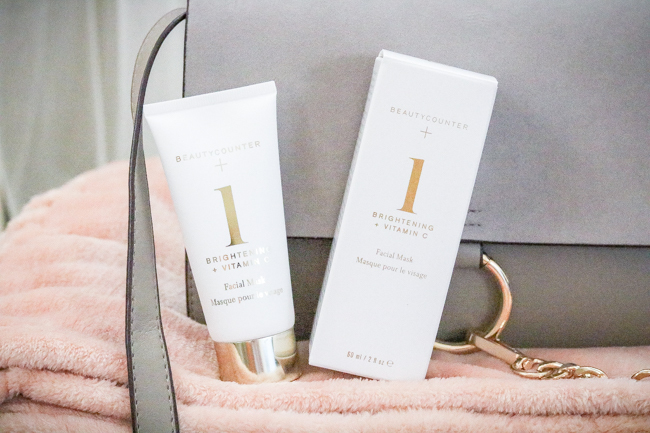 I've never used a skin care product and thought "WOW! This really works!"... and on the first try. I have very sensitive skin with a significant amount of redness from rosacea so I'm really hesitant to try new products. And recently, due to a facial allergy (ugh), I've gone back to bare bones skin care with safe ingredient approved by dermatologists. This is a mask you can use 2-3 times a week and application is easy and you can remove after 10 minutes. I wash mine off with a warm wash cloth and after drying my face it feels like silk. I kid you not! My skin is left looking luminous and incredibly smooth. And the packaging is amazing! I love leaving it out on the counter because of the white and gold. If you're interested in buying I suggest going through my girl Sonnie who sent me this product to try. She is so sweet and hospitable. Her website is HERE. This is my favorite blush of all time and my second time purchasing. Since I have some redness in my skin, many times using blush can make my face look flushed and more like I'm having a hot flash, then a purposeful application of color. This blush doesn't do that at all. 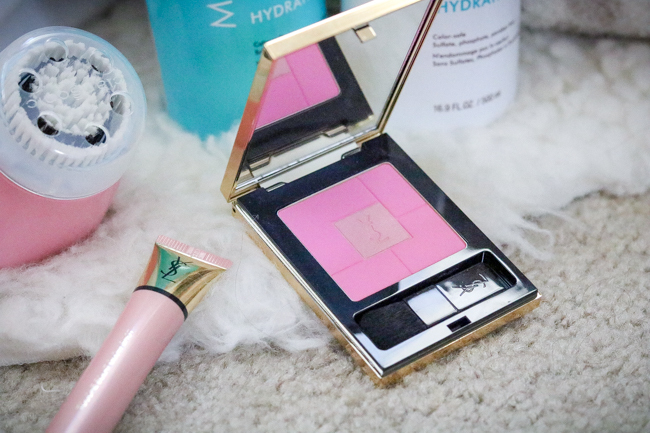 It is the truest "baby pink" blush I have ever used and looks amazing on the cheeks. I love seeing this worn over a beautiful bronzer. I recently went back to using my Clarisonic. I've owned this one for years but set it aside at some point and forget how much I like using it. I love how clean my face feels after using. 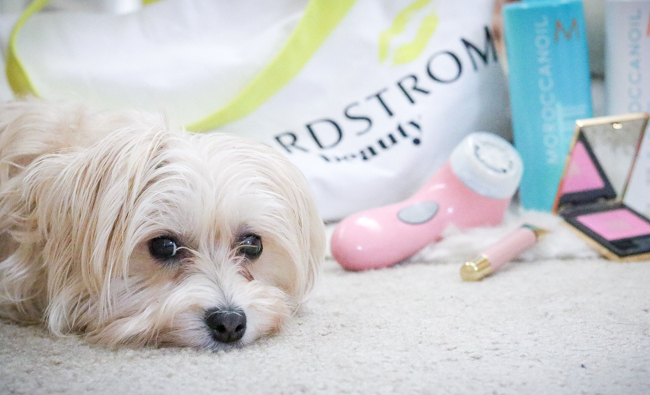 I like to remove my makeup first with a wipe, and then will cleanse using my Clarisonic. I use the sensitive brush head since my skin is so temperamental. I notice that it still gets redder than usual using this, but I like to do it at night so by morning it's calmed down. 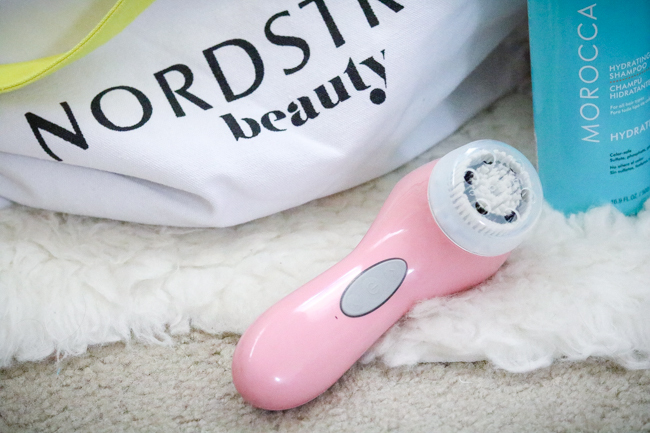 If you want to really remove all the dirt and grime off your face, give Clarisonic a try! FAVORITE HIGHLIGHTER EVER! ... sorry, I don't mean to shout but this product is amazing! I tried it on a whim the other day while doing some returns (don't you love how new things seem to accumulate when you're trying to get your money back haha). I normally don't like cream products especially after I've used powders but this is phenomenal. I use it on my cheekbones and it gives the most beautiful sheen. 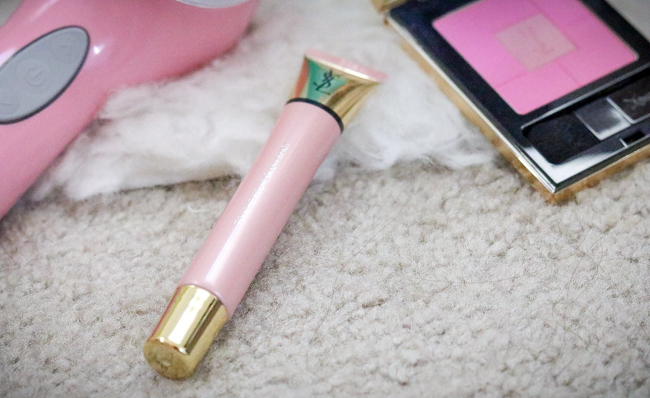 And it blends so well with the finger and doesn't smear your already applied powder around. I love this pink toned version, but it also comes in a white and gold. 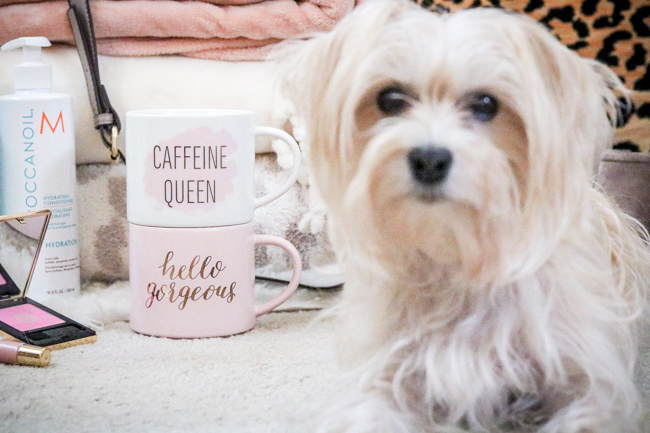 I consider myself a cute coffee mug collector. Justin doesn't quite understand as he's used the same one for years, haha but I can't help myself. I recently cleaned out the cabinet to make room for these two beauties. I love that they stack to make more room and that you can microwave them even with the metallic writing on the front (most you cannot). AND they are so inexpensive! 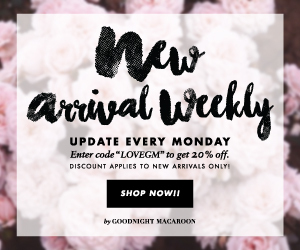 It's not too late to shop the Nordstrom Anniversary Sale! I'll be posting Saturday and Sunday with items still in stock that you can snag before it comes to an end. Omg I can't with how cute Heidi looks! I just want to cuddle her! Looove your picks. The blankets are the softest I have ever owned. I really want to try the blush and highlighter. Heidi is such a diva haha! She loves to be in front of the camera. We just did some more pictures with her I cannot wait to share this week!